Jean Paul Getty, more commonly known as J. Paul Getty, was born on December 15, 1896 in Minneapolis, Minnesota. The son of a self-made man, George Getty (a blue collared laborer turned lawyer turned oil prospector), J. Paul Getty used a business loan from his father to go on to create a global empire and become America’s wealthiest man in 1957. In 1966, he was also named by the Guinness Book of Records as the richest private citizen in the world with an estimated net worth of about $1.2 billion at the time or about $9 billion today. Despite his incredible business success, his personal life was fraught with misfortune. 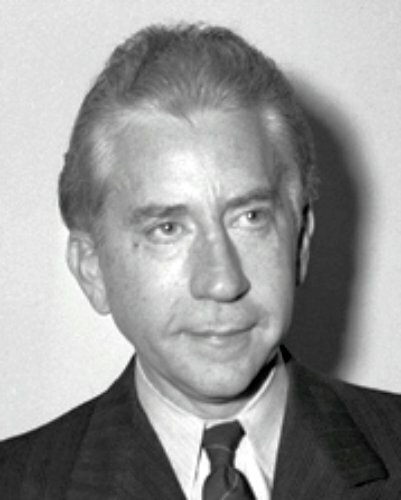 After studying at the University of California at Berkeley, J.Paul Getty attended Oxford and received a diploma for Political Science and Economics in 1914. Around the same time, Getty received a loan from his father to use to start his own business, choosing to invest it as his father was doing, buying oil leases in the “red-beds” area of Oklahoma in hopes of striking oil. Given he became one of the wealthiest people of all time, you’ll probably not be surprised to learn that the gamble paid off. About a year after graduation, Getty had made his first million. Continuing to build his wealth over the following two years, he took a brief hiatus from the business world in 1917 to spend some time enjoying the fruits of his labors- moving to LA and becoming a bit of a womanizer, much to the chagrin of his father who did not think much of his son’s life choices at this point. Back in business not long after, Getty continued to build on his wealth, particularly benefiting from snapping up various struggling companies, mostly oil-based, during the Great Depression. At the same time, his father died in 1930. However, George made the somewhat unusual move to leave his son only about 5% of his estate, bequeathing the bulk of the rest to his wife. George was also known to have thought his son would run the company into the ground if given control, due to his flippant lifestyle. Nevertheless, Getty was made President of the company upon his father’s death and managed to do the opposite of George’s predictions, with one of his most significant gambles occurring in 1949 when he spent $9.5 million (about $88 million today) and promised $1 million per year for 60 years thereafter, in some land at the border of Saudi Arabia and Kuwait. At the time, no oil had yet been discovered on the land in question, but Getty was convinced there was some there. He then went on to dump another $20 million or so into the land between acquiring it and actually striking oil in 1953. From that point on, the land was producing an average of sixteen million barrels of oil per year. (See: How Large is a Barrel of Oil and Why Do We Measure It That Way?) Thanks to this combined with his other business ventures, he became one of the world’s first private citizen billionaires and would remain so for the rest of his life. Getty may have been a success in the boardroom, but his personal life kind of went the other way. He frequently lamented that he could never be sure if people actually liked him or were just interested in his money or what he could do for them. But failure in personal relationships wasn’t the only family trouble Getty had. His grandson, J. Paul Getty III, was kidnapped by Italian gangsters in 1973. His father, Jean Paul Jr., couldn’t come up with the $17 million ransom demand and ultimately the family decided that it probably wasn’t necessary anyway. They had strong suspicions that the whole thing had been setup by Getty III as a way to get money out of his grandfather. They were wrong. The second reason for my refusal was much broader-based. I contend that acceding to the demands of criminals and terrorists merely guarantees the continuing increase and spread of lawlessness, violence and such outrages as terror-bombings, “skyjackings” and the slaughter of hostages that plague our present-day world. In response to the refusal, one of Getty III’s ears was cut off and sent along with a lock of his hair to the Gettys as proof they were not bluffing. From there, negotiations dragged on as the 16-year-old remained in limbo. Eventually, the kidnappers lowered their demands to $3 million, with $2.2 million being provided by Getty and the other $800,000 by Getty II via a loan from his father at 4% interest. Getty III was subsequently freed, though after a drug-induced stroke suffered eight years later, in 1981, he was left partially paralyzed, nearly blind, and unable to speak well, ultimately living the next 30 years in more or less this state. He died in 2011. As for J. Paul Getty I, he died three years after the kidnapping on June 6, 1976 at the age of 83 of heart failure.